Bone grafting is a minor surgical procedure performed in the dental office under local anesthesia to add additional bone to the jaw. The process involves transplanting a bone from processed bone or bone harvested from another part of your body into the jawbone. After this process, your body will continue to deposit new bone cells and remove the grafting material. 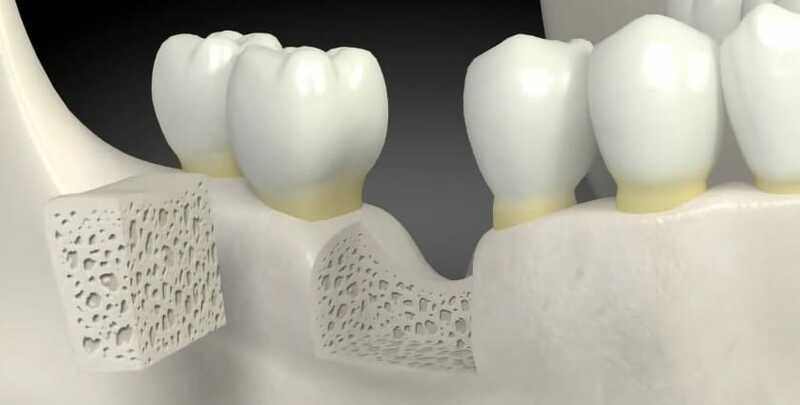 Why Are Dental Bone Grafts Necessary? If teeth have been lost due to trauma, rot and decay, or injury, some bone loss often occurs, and the bone around the jaw will begin to deteriorate. When the jawbone has deteriorated it cannot hold your teeth in the proper place. A bone graft replaces and regenerates the bone loss. This is beneficial for protecting existing teeth, prepare the jawbone for dental implants, or restore facial structure. A dental bone graft is not something that can be completed in a single appointment. Images are taken of the jaw. Generally, that process uses a computed tomography (CT) scan. These images are used to create a treatment plan for you. During this appointment or during an additional consultation, you also need to decide whether you want to use processed bone or bone harvested from another part of your body. A sturdy, healthier bone structure in the jaw is not only beneficial for implant procedures, but it can also help the rest of the teeth in your mouth stay healthy and strong. Leaving missing teeth unattended can weaken your jaw muscles and wear away at the remaining tissue and bone, causing the jaw to weaken or deform. It’s important to replace teeth that have been lost to maintain the structure of your mouth. To learn more about whether a bone graft, dental implant or similar tooth replacement treatment such as partial dentures or full set dentures, contact Advanced Dental Arts at 813-701-5074. We serve residents in Tampa and the Central Florida area.